How is good public policy made? Policy is created all the time, but good policy is becoming increasingly rare. 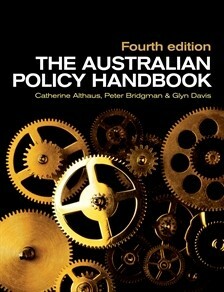 The first step to producing and implementing good policy is to understand what it is. Let’s assume that the government successfully legislates to introduce a resource super profits tax. This policy, to introduce the tax, needs to be made operational. Operational policy is the means by which the general is made particular. What are the guidelines, thresholds, conditions, exceptions? Over what time does this policy apply? Administrative policy is the business of putting operational decisions into effect in an administrative structure. It is the nuts and bolts of public administration. The administrative policy is to prescribe, say, action X under section 41A, or not; to collect the resource super profits tax through a particular administrative arrangement. Strategic policy is the highest and grandest type. It is the stuff that determines both operational and administrative policy. For example, in the early 1990s the Commonwealth and state governments created a national competition policy. The objective was to enhance productivity and efficiency in markets. To do this government had to change how it practised competition; it had to change jurisdictional boundaries; and it had to introduce legislation. It formed the guidelines for both operational and administrative policy, as well as the overall policy strategy. Once you understand what kind of policy you are dealing with, the real issues become much clearer. From there you can test policy against its various constraintsâ€”and discover whether its results will be truly beneficial. But good policy isn’t just about having good ideas, you also need to communicate your policy well. Good ideas fall on deaf ears when your documents and speeches are filled with sludge and jargon. Introduction to policy and Advanced policy are courses that identify what is good and bad policy, and help people improve their capacity to develop policy that meets the needs of governments. The courses also show participants how to present policy in a clear and unambiguous way.